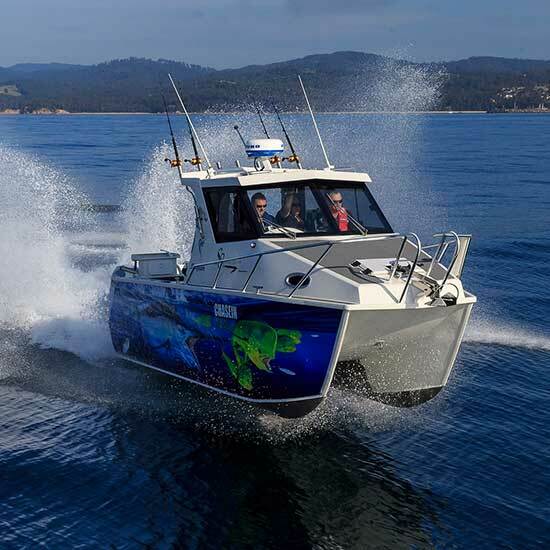 All Sailfish Catamarans are twin engine installations with twin ram hydraulic steering. Should you lose power in one engine you can get home safely on the other (and with many setups still get the boat on the plane). The independent steering means you still track straight and turn with ease getting you home safer. 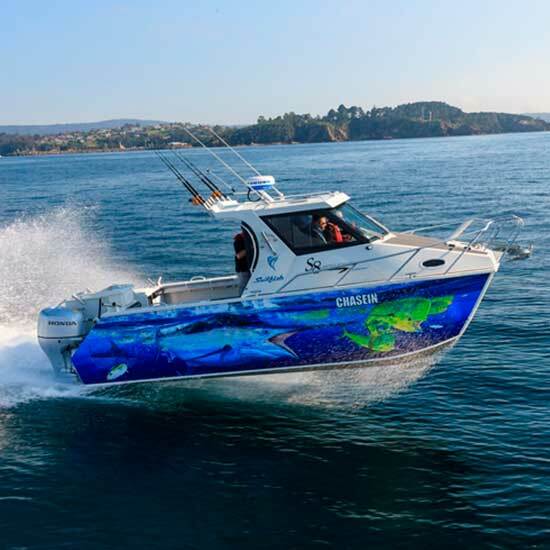 With fuel prices ever on the increase, Sailfish Catamarans aluminium construction means they are lighter than their fibreglass competitors. This allows you to run lower horsepower engines with lower fuel consumption for the same performance figures. General consensus suggests that catamarans use up to 45% less fuel than equivalent mono hull boats. 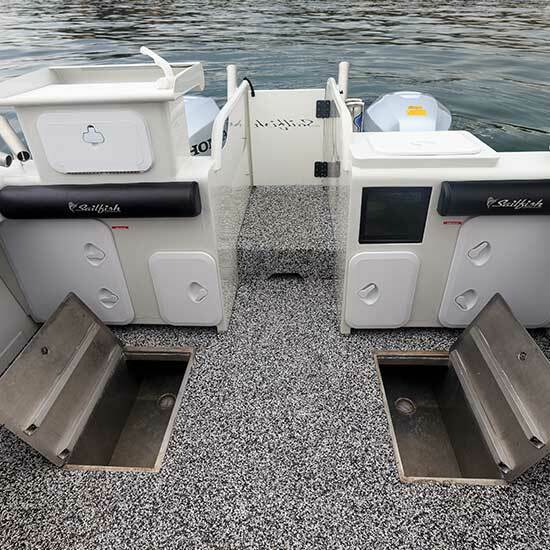 Their minimal wetted area means less drag and friction and therefore less fuel needed to move the boat. This design can be compared to a knife v spoon effect, where a mono hull has a much larger surface area moving through the water, as compared to the knife of a catamaran hull. 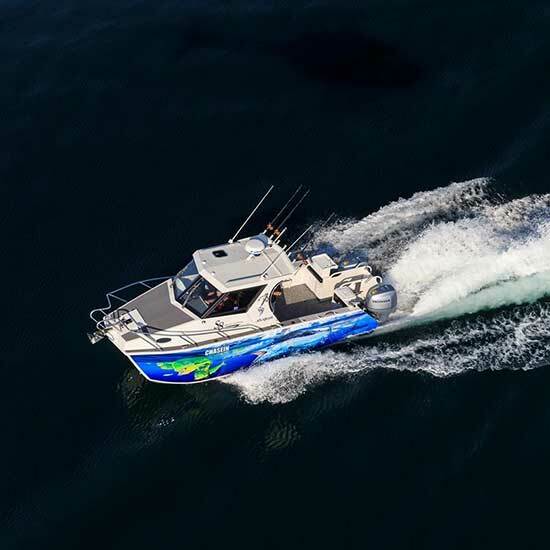 Sailfish Catamarans have purpose built planning hulls meaning that even less of the hull in the water at speed, further reducing fuel consumption compared to other catamaran brands. As a catamaran travels forward, air is forced down the tunnel and is compressed between the hull and the water line. This becomes like a gas shock absorber allowing the boat to ride on a cushion of air. Should the boat leave the water, re entry is much smoother than a mono hull as the air trapped in the tunnel and lower hull surface area combine to give less slap / pounding and thus a smoother ride. This is why owners of Sailfish Catamarans often comment that the faster they go the better the ride gets! Traditional mono hull boats rolls on the V. The deeper the V, the worse the roll, the flatter the V, the harder the ride. This rolling can often be compounded with each wave creating a pendulum style effect. Catamarans have 2 hulls spaced apart so there is no edge to roll on while having buoyancy on the outer edges of the boat where it is needed. It is quite simply a fact that catamarans offer a safer hull than a mono. 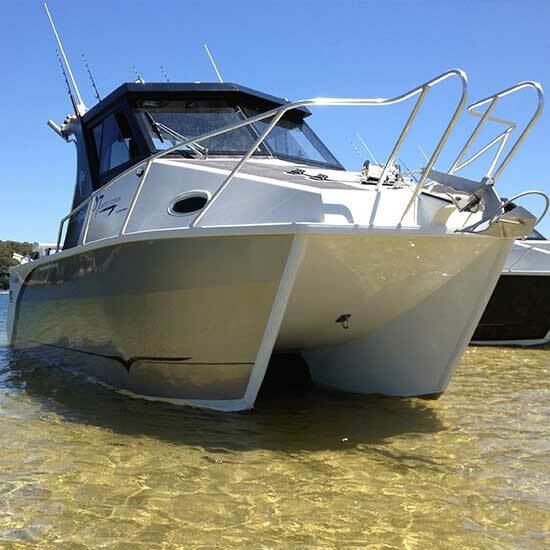 All good catamarans offer two independent fuel tanks, self draining decks, foam filled sponsons as a standard feature, dual engines, unmatched stability and amazing rough water performance. 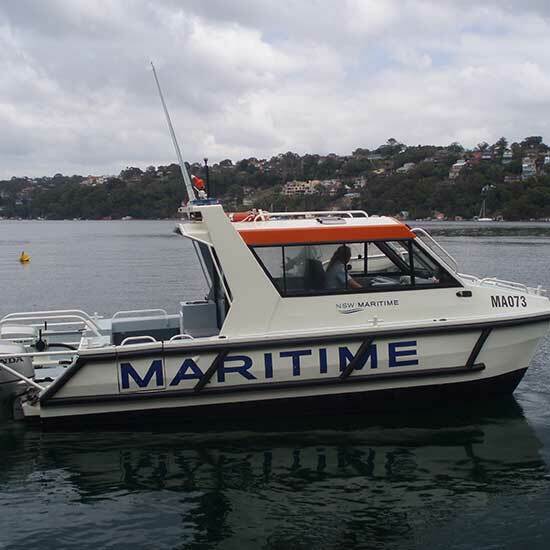 Sailfish Catamarans were initially designed to meet the highly demanding needs of government and commercial operators. 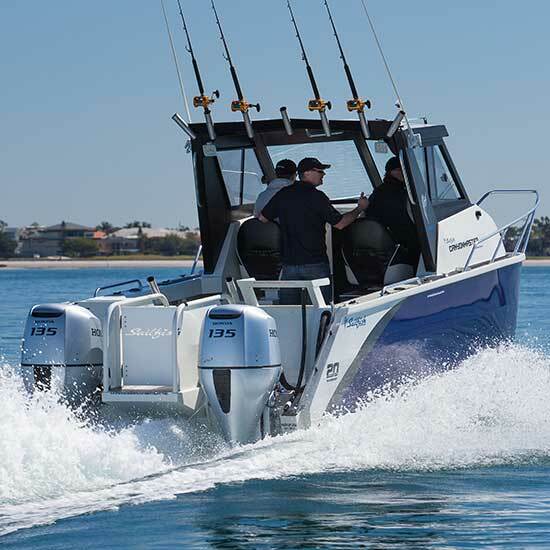 These customers demand hulls capable of handling extreme sea conditions with strength and reliability. These users put our boats through severe conditions on a daily basis and have been reordering our boats for over 20 years. It is these testing grounds that ensure your Sailfish Catamaran meets the demands of even the most rugged recreational users.